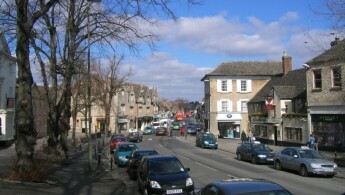 Witney is one of Oxfordshire’s most vibrant and happening towns. Recent investments have led to fast retail growth and a number of new developments across the town, including Marriotts Walk Shopping Centre and several new coffee shops. Despite this, the town still retains numerous independent stores and a local market. Witney’s strong retail scene means commercial crime is an ever-present threat. Over the course of 2015, 125 counts of shoplifting were recorded, and Other counts of theft were also high, as 231 incidents, highlight the importance for proper security in Witney shops and homes. We have worked with local companies and residents in the Witney area for over 30 years to secure your businesses and homes against criminal activity. Using a range of security systems and our expert services, we help to protect what matters most to you, whether this is your family or financial businesses assets.